Hatsune Miku has gone from quirky tech experiment to global icon. And as the world’s premier virtual pop idol, her likeness can be found everywhere: in toy stores, on t-shirts, in YouTube videos, and more. 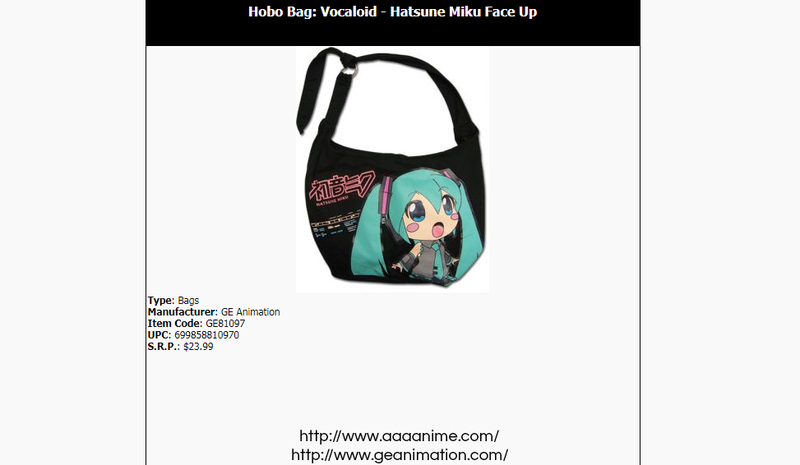 Always the opportunists, bootleggers are taking advantage of Hatsune Miku’s ubiquitousness to secure a profit for themselves. They steal her face, plaster it all over their creations, and sell these poorly made products to fans who don’t know any better. This is why it is paramount that we, as consumers of the things we love, are educated about fakes and the dangers associated with them. 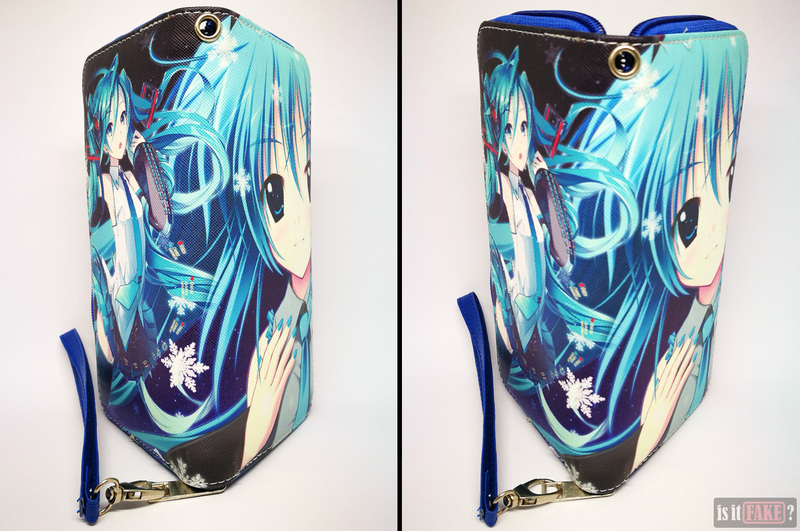 There are often numerous telltale signs that an item isn’t an officially licensed product, so if you know what to look for, you’ll be able to determine whether or not a product is a bootleg with ease. 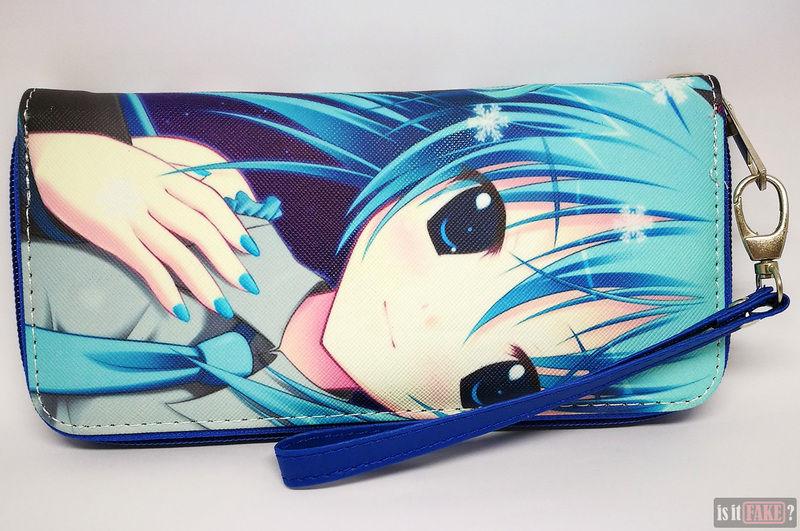 In today’s article, we’ll be discussing a fake Hatsune Miku wallet. In doing so, we hope to give you some tips on how to identify what constitutes a counterfeit item. When shopping online, it helps to be wary of Chinese online stores such as AliExpress. They’re not exactly known for being entirety legit. In fact, they’ve become infamous for selling large quantities of fake goods, and serving as sanctuaries for shady sellers and manufacturers. 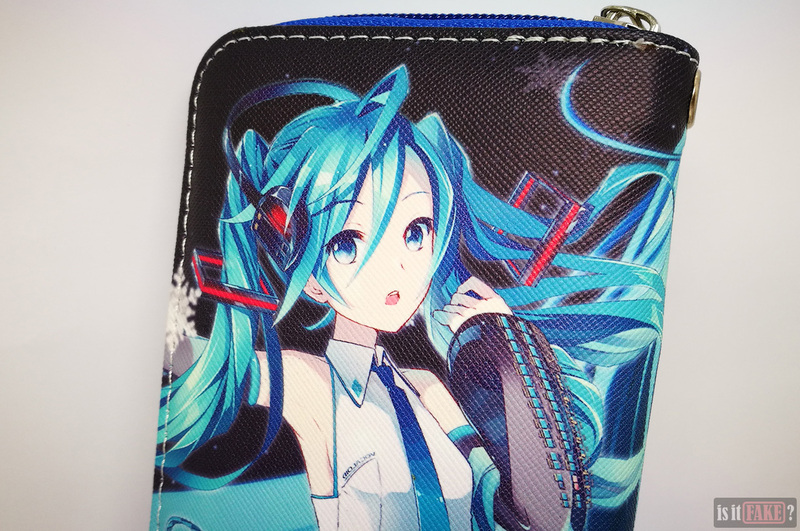 We obtained this Hatsune Miku wallet from one such seller, who listed its manufacturer as dower me. 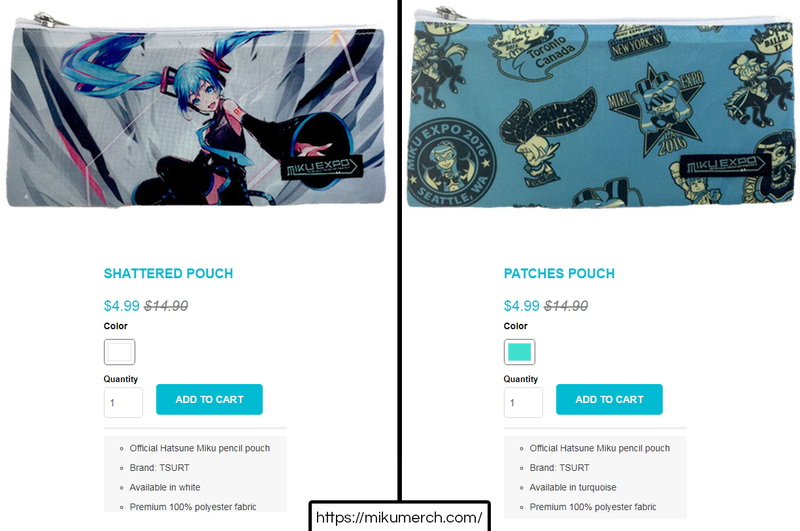 Here’s the thing: there’s no evidence any business entity known as dower me ever acquired the license to manufacture Vocaloid and Hatsune Miku merchandise. Even if you scour the internet, you’ll find no official connection between dower me and Vocaloid’s official developer, Crypton Future Media. A legit product manufacturer/distributor would readily present licensing information to prove it is operating within the bounds of law. The absence of such information is therefore hugely troubling. 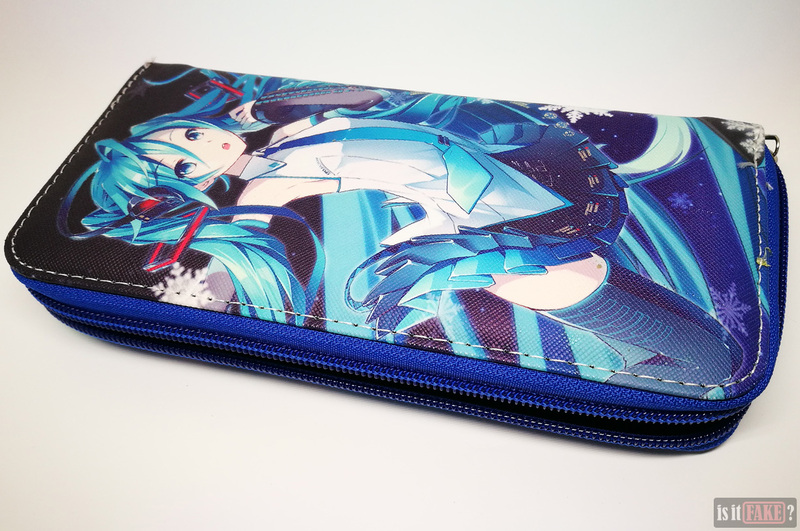 The Hatsune Miku wallet wasn’t packaged in a box like an original product would have been. Instead, it was delivered wrapped in nothing more than clear plastic. 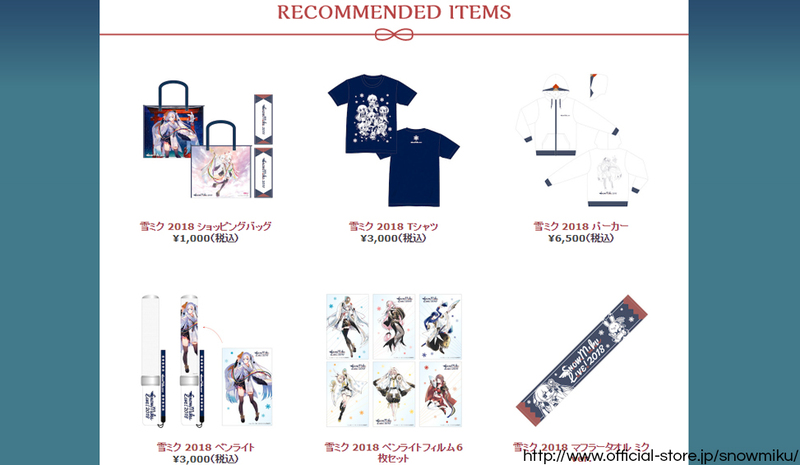 No proper packaging means one less way to inform the buyer about the rightful owner and creator of Vocaloid and the Hatsune Miku character – another red flag. 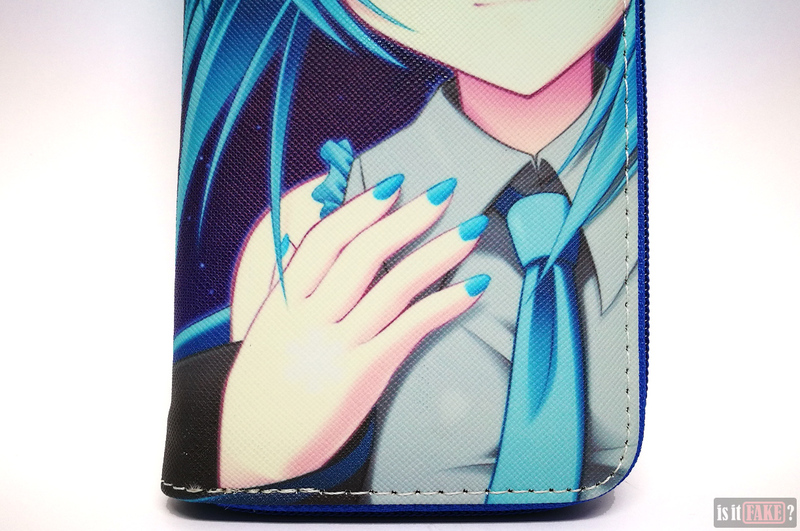 The fake Hatsune Miku wallet itself is devoid of any information about Crypton Future Media. In fact, it isn’t marked by any brand logo or name. 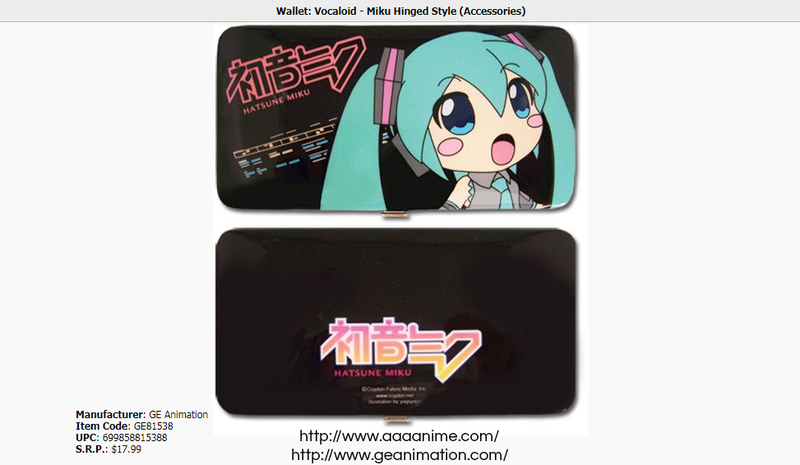 This is unusual, because a legit wallet manufacturer would brand their product. 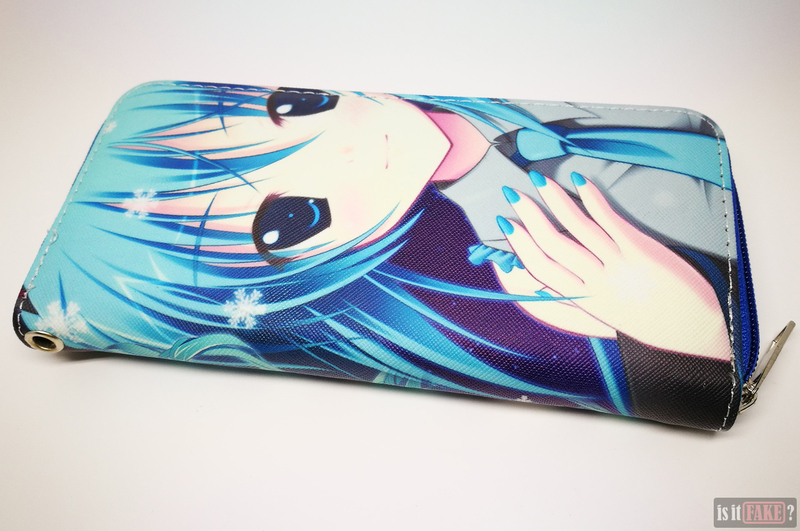 The wallet is roughly 19.5cm tall, 9.5cm wide, and 2.5cm deep. 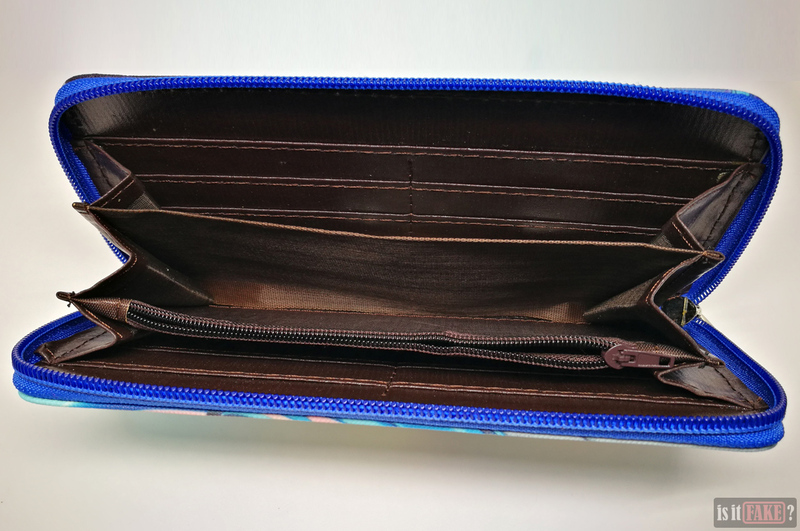 That’s pretty bulky for a wallet; it won’t fit in your pocket, unless said pocket is cavernous. So it’ll have to stay in your bag. 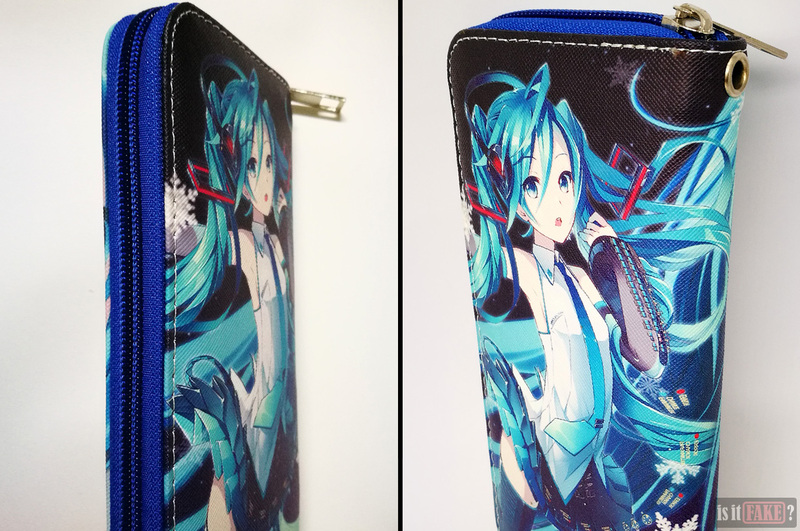 The pictures on the wallet are wallpaper fan art. For instance, you’ll find one of them in several anime wallpaper sites, such as this and this. 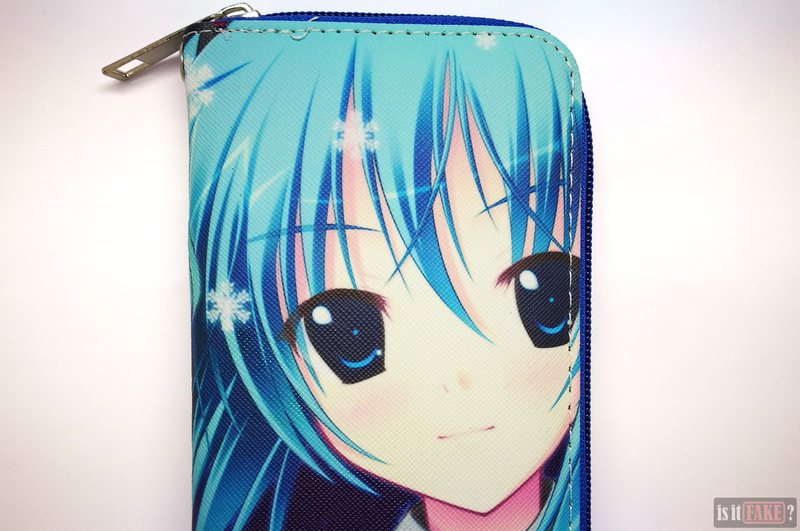 The print quality of each image on the wallet is subpar. As a result, the colors appear washed out and unexciting. The rough texture of the wallet’s exterior doesn’t help, either, giving each artwork a pixelated look that further robs them of vibrancy. 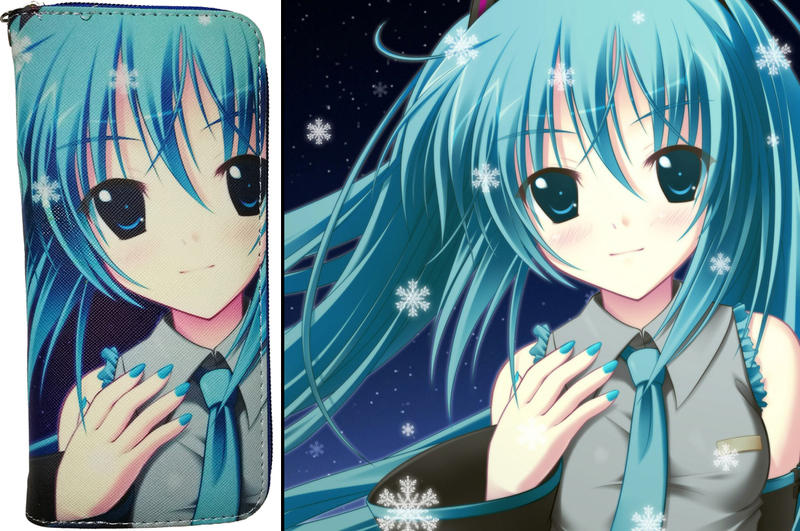 Check out the comparison image above to see the stark difference in picture quality between the image on the wallet and the wallpaper fan art. 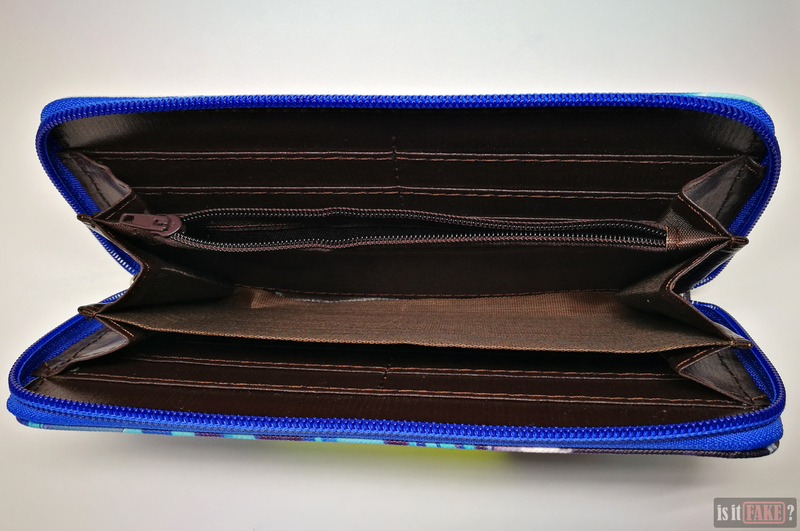 The wallet opens to reveal several pockets. 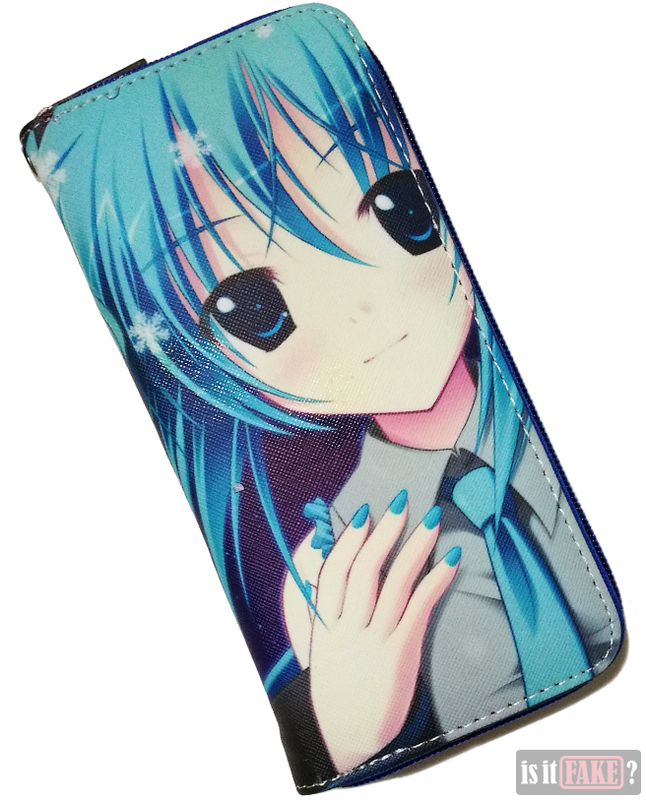 There’s enough space to hold a cell phone, while there are a number of slots where you can fit calling cards. 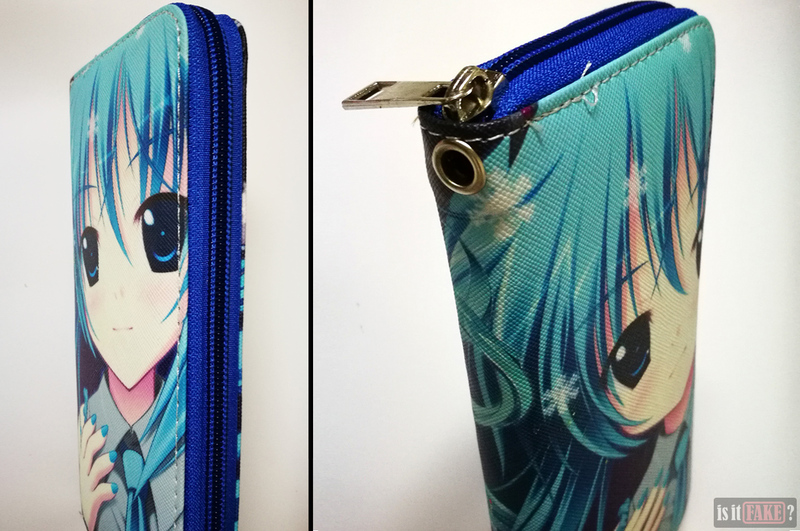 One of the interior pockets can be opened or closed with a zipper. The zipper’s a little tough, as if it’s resisting being pulled in either direction. 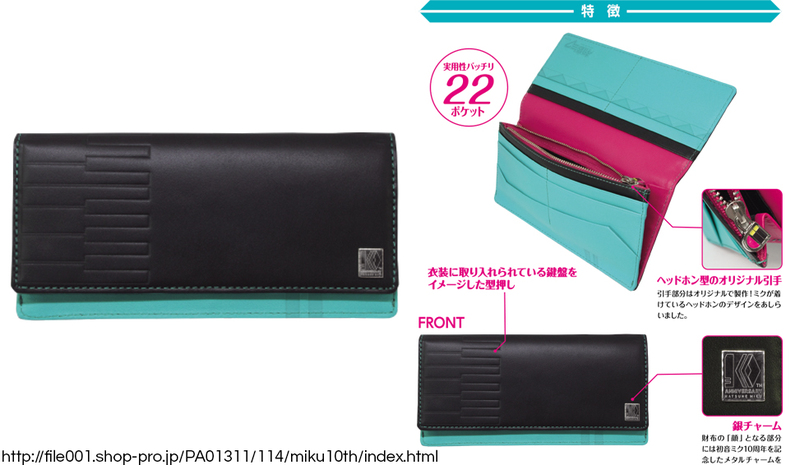 The fake Hatsune Miku wallet comes with a cheap-looking detachable leather strap. 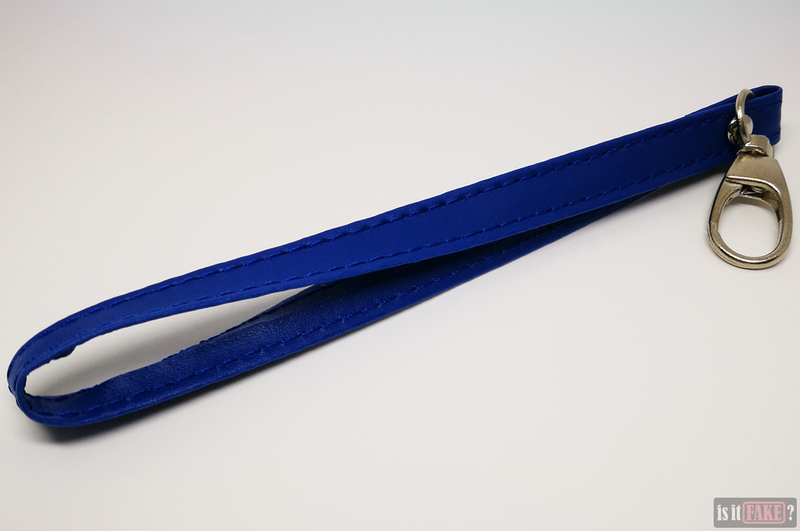 It’s easy enough to clinch the strap onto the wallet. Here’s what you won’t know from just looking at the pictures: the wallet stinks to high heaven of glue. Worse, the surface is sticky, as if covered in a light film of glue. There are actually certain places on the wallet where you can find small globs of glue. 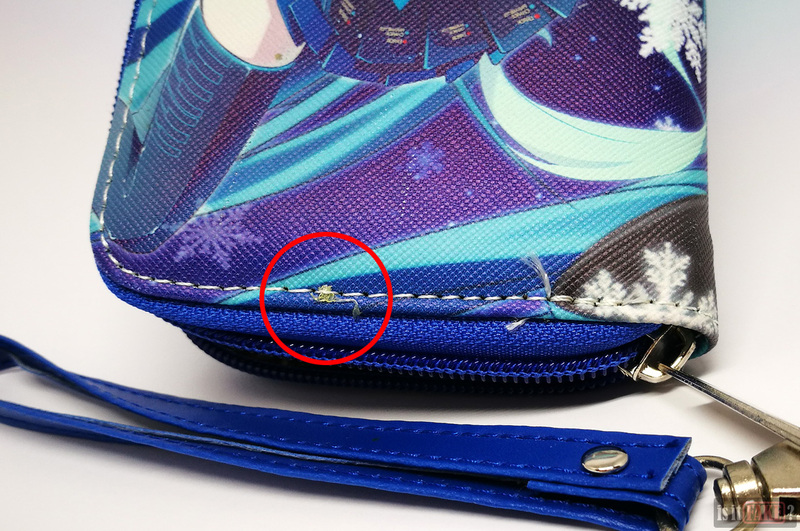 For instance, in the picture below, you’ll see a tiny wad of the stuff on the stitching. What’s strange is the adhesive doesn’t seem completely dry, which explains why it remains sticky. Here’s what scary: some glues are toxic, and can release dangerous substances into the air as vapor. This is then inhaled into the body where it can cause a range of problems, from minor irritation (leading to nausea or coughing) to cancer. 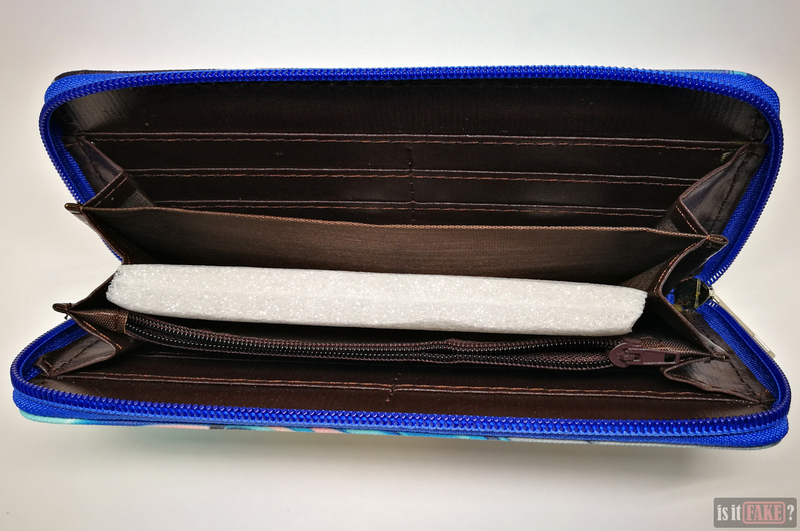 While we can’t say for sure whether or not the glue on this wallet poses a health hazard, a number of studies have discovered that many cheap products made in China are tainted with harmful chemicals. As a general guideline, it’s best to avoid such products, especially if they emit a foul odor and/or have a sticky surface, as these are signs the chemicals are being released into the air. 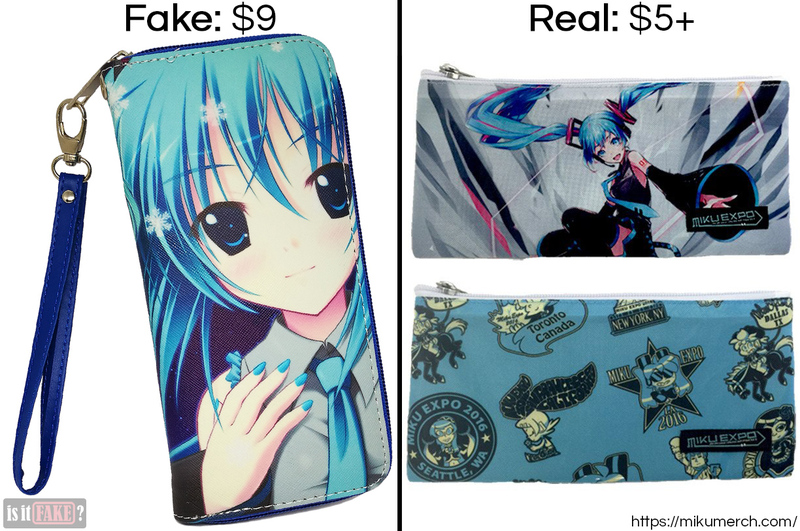 You don’t need a fake Hatsune Miku wallet when you can find a surplus of official products on the net – some of them even cheaper than the fake. 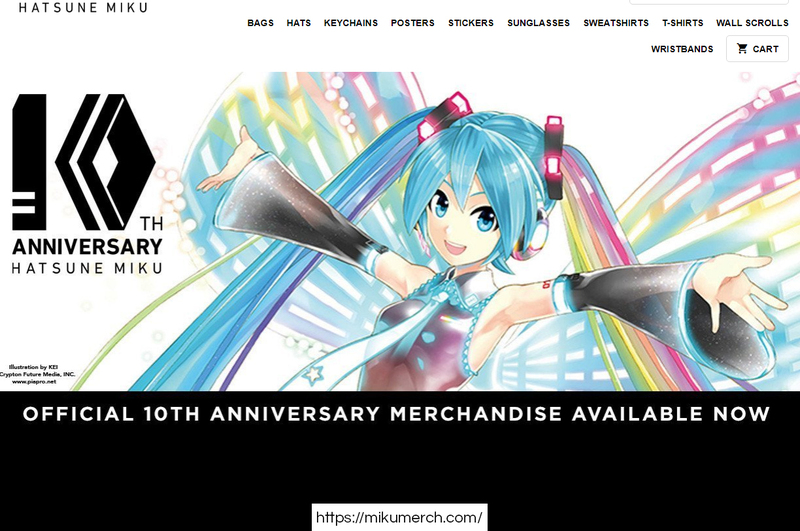 You can find official Hatsune Miku merchandise on MikuMerch.com. 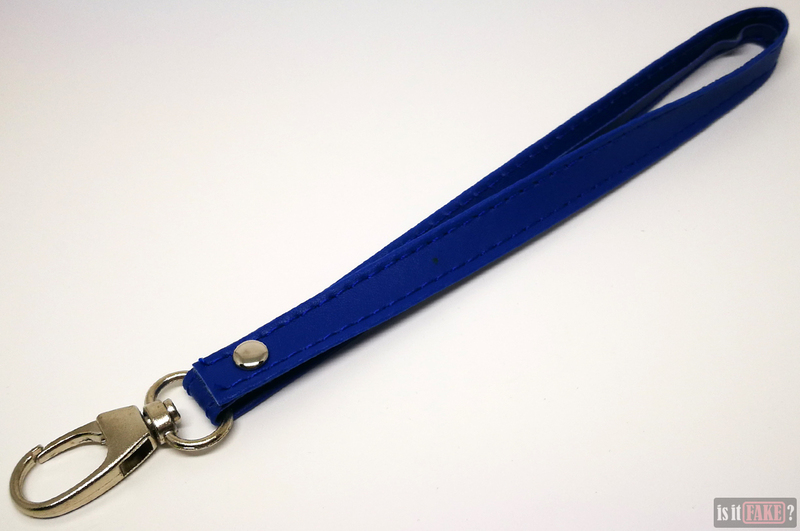 This site is regularly updated with new products, so if you don’t fancy any of the goods currently being offered in the store, you can always come back later. 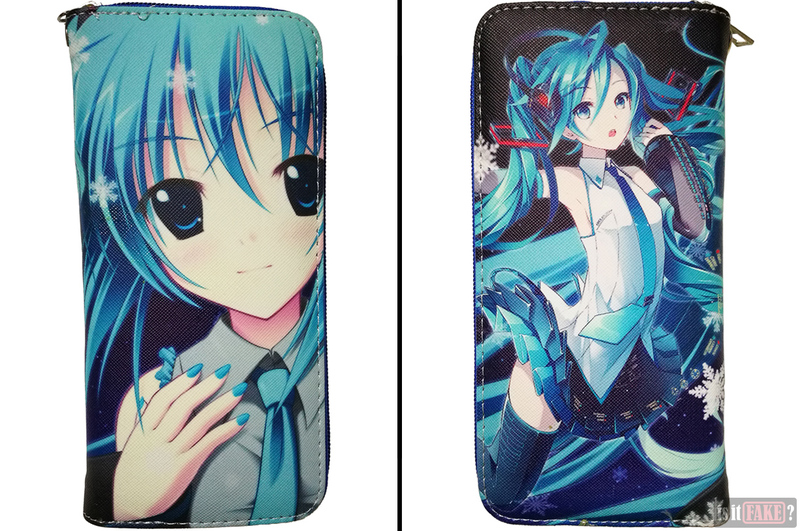 For now, there are two Hatsune Miku pouches you can buy, and they’re extremely affordable at $5 each. 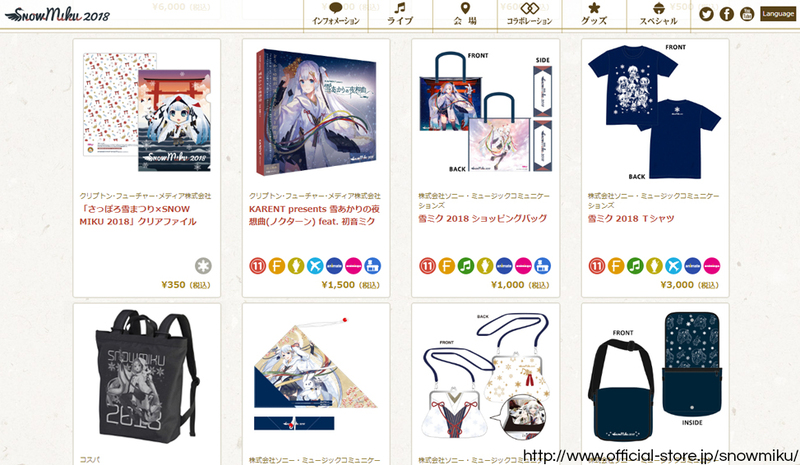 You can even find other accessories like keychains and bags, and apparel such as t-shirts and headwear. 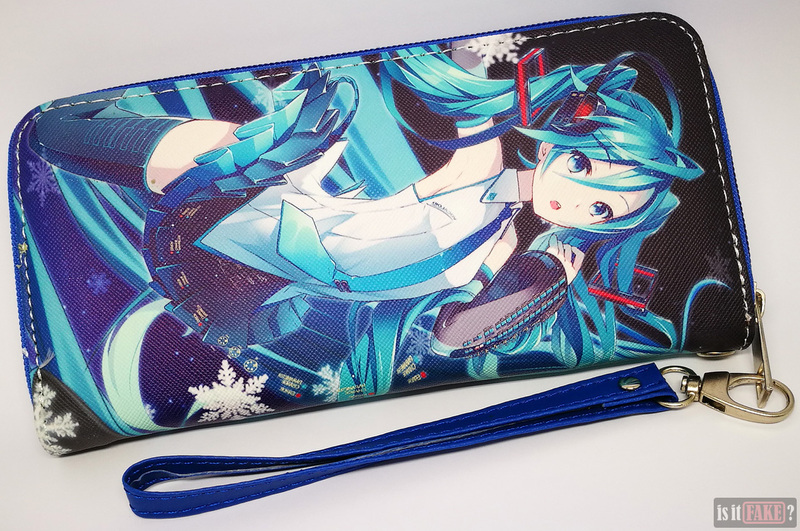 Then there’s the gorgeous wallet from the Cocollabo x Hatsune Miku collaboration. 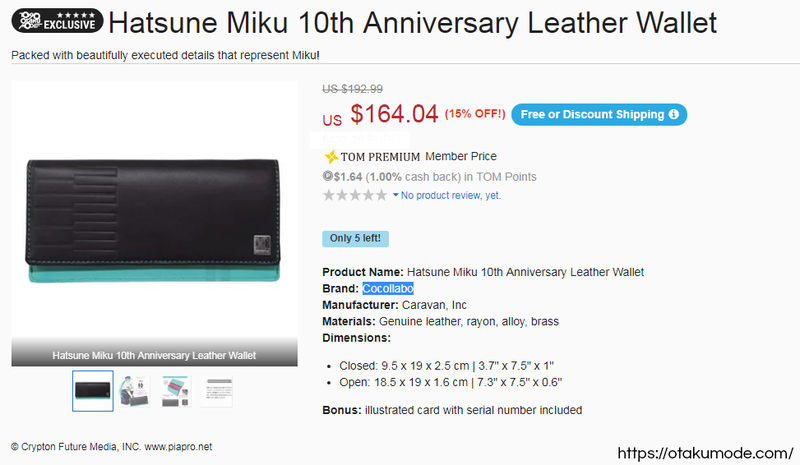 Yes, it’s rather expensive at $164, but this is a high end product boasting real leather and other premium materials. 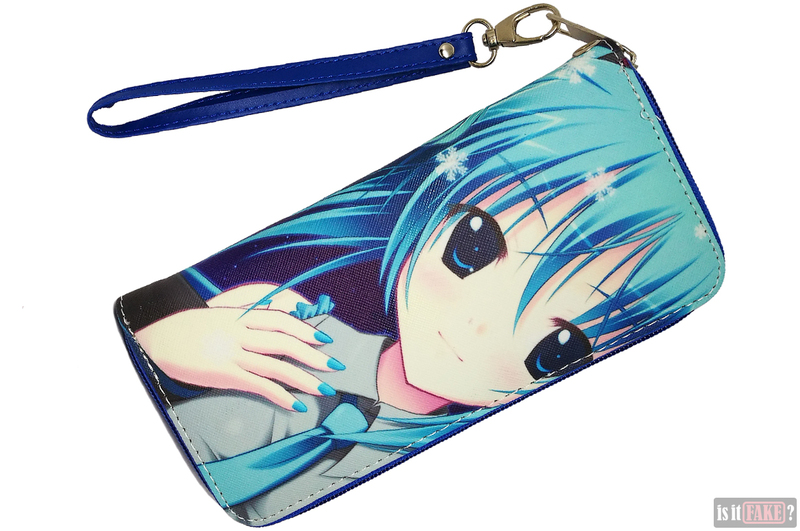 The wallet is available on Tokyo Otaku Mode. 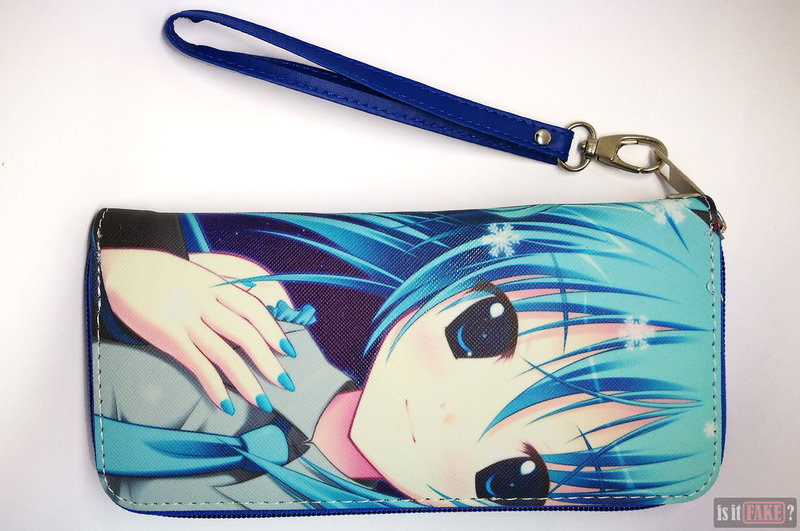 Wallets and bags from American anime merchandise manufacturer, Great Eastern Animation, are also available on AAA Anime. 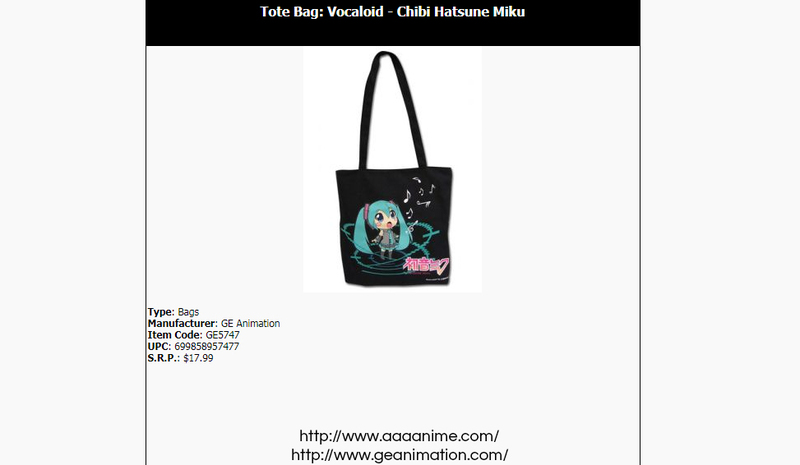 Just type “Vocaloid” or “Hatsune Miku” in the search bar to see a list of related items. 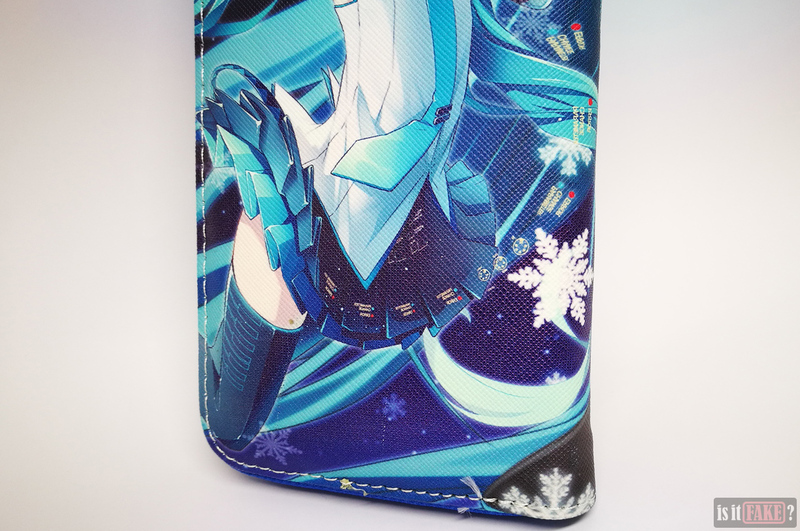 Last but not least, you can check out SnowMiku.com for more Hatsune Miku merchandise. 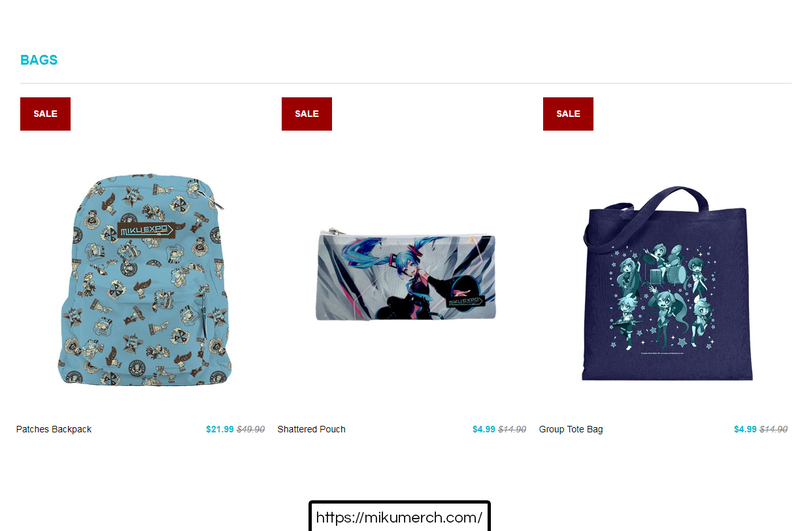 Like MikuMerch.com, this site updates regularly, so check it out every now and then to see if they have any new stuff for sale. 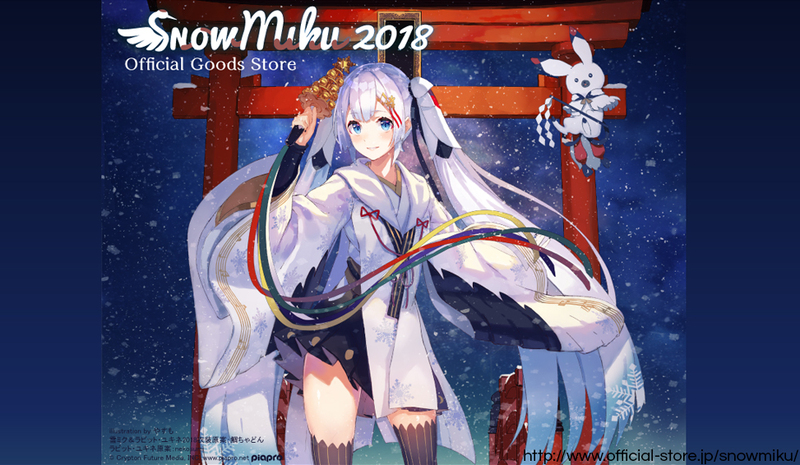 SnowMiku.com even has a page of recommended items, which lists the site’s most sought-after goods. 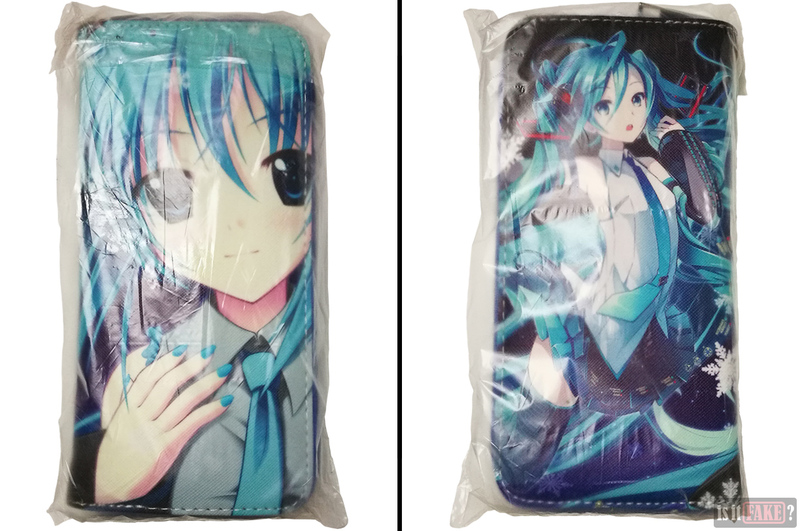 Sticky, smelly, and none too pretty, this fake Hatsune Miku wallet is the last thing you’d want in your bag. If it belongs anywhere at all, it’d be in a dumpster. It earns its 75% terrible score.